The emergence of technology in the modern workplace began not too long after the first computers were being developed. While there’s an ongoing debate on the impact that computer automation is having on the middle class (that discussion is better served by actual economists), we are interested in the business impact that technology, or the lack thereof, can have in the workplace. Technology can be a double edged sword and since businesses can have different shapes and structures, it is important to properly discern the place that technology will be given in your organization. To properly make this assessment, it all narrows down to your customer. At What Time Do I Work, we believe there are two types of customers: the external customers that make up your client base, and internal customers that make up your workforce. Both have very important roles in a company’s operation and overall direction. Machines and the Internal Process. With employees (your internal customers), it’s vital to keep dissatisfaction down, and nothing adds more to a worker’s frustrations than having to spend a large amount of time performing menial tasks that technology could perform more efficiently. Part of the reasons why many people describe their jobs as being “soul sucking” is due to the repetitive and brainless labor that comes along with it. The costs of implementing computerized systems is what keeps many businesses from investing in them. This is highly understandable, depending on the size of your business. 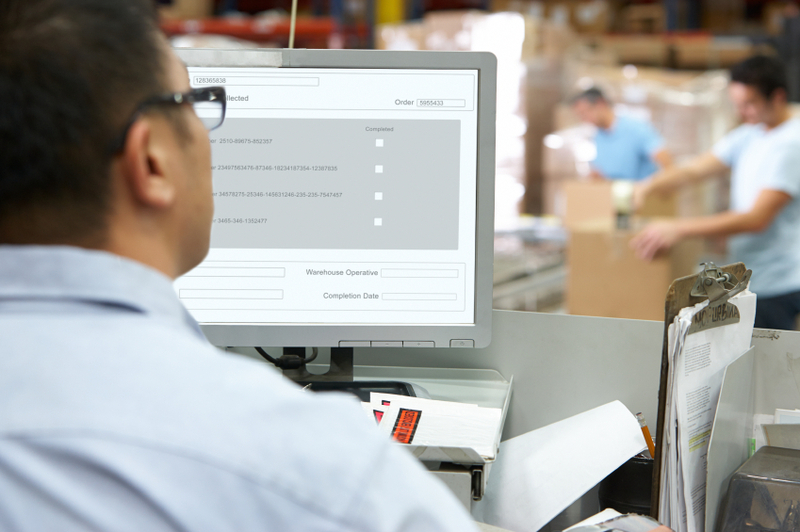 We are not suggesting that you start investing in high-tech machinery that automatically replenishes your toilet paper supply, but in this day an age, there really is no reason why tasks such as receipt, invoice and purchase order processing should be done by hand. In many cases, it’s merely a matter of staying up to date with the latest advances that have made many common work systems affordable. Employee scheduling software such as ours has a low entry cost and can really go a long way with eliminating human error and process time. Businesses in the Trucking and Transportation industry, which are notorious for requiring lots of paperwork that document driving time, inspection reports, and federal transportation reports, are also being flooded with multiple low-cost digital solutions that are becoming extremely easy to implement due to the prevalence of smart-phone technology. Every business will be different, but it is imperative that companies err on the side of process efficiency when deciding wether or not to implement these systems. The less time employees spend on repetitive activities, the more time they can spend improving the internal structure and culture of your organization. When assessing automated systems, don’t just strive to solve internal problems for your business alone. Your customers also have problems that need solving and in many cases, it’s safe to invest in the human element of handling customer interaction. The systems behind your company processes work best when used to empower your workers to solve customer problems rather than create new ones for them. After all, no amount of Artificial Intelligence can replace a waiter’s ability to make a customer feel at home,or develop the discernment to issue a discount to a long-time customer despite the fact that he is a day late, or teach itself the discretion needed to reduce a late-registration fee due to circumstances that were outside of the customer’s control (this one might be a bit far fetched for DMV humans as well). Customers and Employees alike, prefer being treated as more than just a number in a system. The more you can leverage technology for THEIR convenience, the better and more profitable your relationships will be in the long run. There can be no doubt that we live in an age of marketing where it is not simply enough to have the best restaurant in town, with the most excellent décor, with the greatest chef in the area or even with the absolutely best food that a person can hope to eat. If a restaurant is to be successful, it is essential that it is promoted smartly and efficiently and that is exactly what we will be talking about here. Before the emergence of internet as the alpha and omega of promotion and expanding of customer base, there were various offline, more traditional promotional methods that still work today. Do not listen to doomsayers who say that online marketing can help. Traditional techniques still work to this day. Advertising in local media still gets the job done. There are still plenty of people who read newspapers, who watch local TV stations, who listen to local radio. There is still quite a lot of be accomplished by taking out adds and air time in these types of local media. Of course, there is still need to be innovative and to have creative ideas that will catch people’s eyes and ears. Just, do not discard these from the get-go. If you are unfamiliar with the term guerrilla marketing, it is about time that you learn about this relatively novel way of marketing, which entails practices that are not mainstream and which pique people’s interest in your restaurant. These include getting murals painted around the neighborhood by local artists, or using exceptionally creative posters that will get people interested in your restaurant. You can, perhaps, send free meals to local businesses with just your card sent to them with the food. It’s important that you get people talking about your restaurant. Another great way to promote your restaurant is to organize small events that will entice people to try your restaurant out. You can, for instance, organize a movie night for the customers, with very reduced price, providing them with a dinner and a show. Or, you can organize special events on certain holidays. For instance, doing a particularly romantic menu for Valentine’s Day, perhaps with additional entertainment thrown in. Of course, you must never forget about the power of the internet when it comes to promoting your restaurant. More and more people are finding their information and new businesses online and this is true for restaurants as well. Have the best website around. When people hear about a new restaurant, one of the first things they do is check whether the restaurant has a website. The goal here is to have the most attractive and alluring website you can get. The web design for your site needs to be in tune with what your restaurant is all about. If it is an elegant place that offers fine dining, your web design needs to reflect this with sleek lines and toned-down appeal. If your restaurant is more playful, then by all means, let your website be playful as well. Facebook and Twitter have become great allies for everyone who runs a business and a restaurant is business just like any other, in the end. 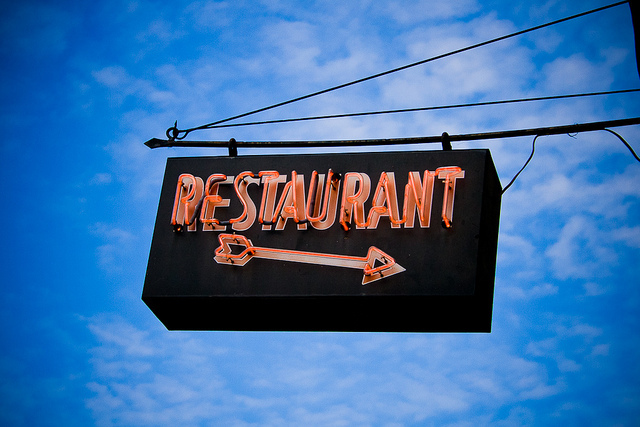 Your restaurant needs to be present on Twitter and Facebook, as well as other, less famous social networks. Share photos of your restaurant and your meals, perhaps even share a recipe or two.  You can also post videos on YouTube, for instance. You can have your chefs talk about their influences, their favorite foods, perhaps do some instructional videos. It is important that people talk about your restaurant. Local directories and directories that emphasize the food industry can also be great ways for you to promote your restaurant. These act like the yellow pages of the web and it is very easy to register with them. Moreover, a very big percentage of these will let you present your restaurant for free, which is always a plus. Once you are registered, people will more easily find out about you, your website and your restaurant. The best thing that you can do is to make all of these different promotion methods work in unison, providing the general public with a notion of your restaurant as the place to be, a truly special dining destination in your town. Of course, never forget about the things that truly make a restaurant great – food, customer service and atmosphere. One of the most important financial decisions that any business owner will make is deciding on an insurance policy to protect their company and their employees. Before opening your doors to the public, here is an overview of commercial insurance policies and exactly what form of coverage you may need. One of the most important questions that business owners will need to ask themselves is what type of coverage they are legally required to have due to state and federal laws. This is generally determined by the size and type of company that you have created as well as where you are located. At the very minimum, a company will need workers’ compensation insurance once employees are hired and commercial auto insurance if vehicles are used for any business purposes. Liability insurance may not be required by law in some instances, but almost every company will need to have one of these policies in place. According to Meyer’s Insurance Ltd., liability insurance is the first line of defense against all of the most common issues that a business owner will experience. This may include customers injuring themselves on your property or even a minor legal issue that will be handled in a civil trial or out-of-court mediation. Liability insurance is generally considered to be the “core” coverage that a business owner will have for their company. From there, it is time for business owners to begin considering what form of special coverage they will need in the coming months and years. As stated previously, commercial auto policies must be in place if any company vehicles are purchased or if private vehicles are used for any business purposes. Business owners may also want to consider expanding their coverage to their property in the event of theft, vandalism, or natural disasters. Liability coverage can also be upgraded to include professional liability and product liability insurance if your products or services lead to legal issues. Also referred to as a BOP, a business owner’s policy is designed to bundle all of the coverage that a business owner will need into a single policy. The reason for this is to simplify the process of paying insurance as well as lower the overall costs. 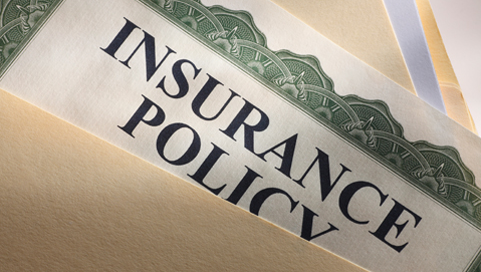 Owners will often create the basic policy around liability insurance, workers’ compensation, and property insurance and then add on riders such as commercial auto coverage or umbrella insurance for larger expenses. Finding the perfect insurance policy may seem like just one more project for a business owner, but this coverage could mean the difference between success and failure if any serious mishaps, injuries, or accidents occur. 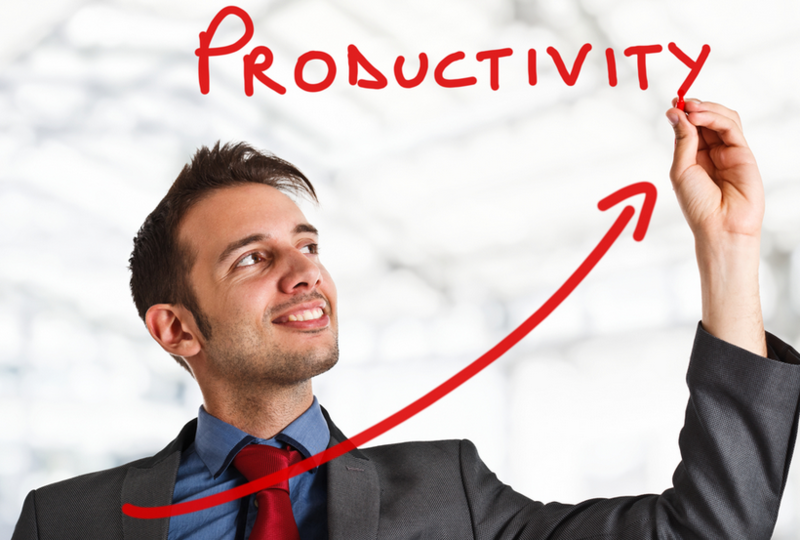 Taking the productivity of your company to the next level is not going to happen on its own. Business owners should consider these actionable steps that could get their employees and their company back to peak efficiency no matter the economic climate. Owners and upper management should do everything possible to nurture leaders and independent thinkers within the company. When an employee makes that mental transition from a simple laborer to focusing on a leadership role, their productivity is going to go up exponentially as they look for ways to solve problems that others may have never thought of before. No matter how friendly a team may be, companies of all sizes will have staff members form cliques or subconsciously compartmentalize. While every single member of the staff is obviously not going to be responsible for every major decision, it is important to think beyond personal accomplishments. Anyone that had even a minor role in a project should feel as if they are responsible for its success or failure. Employees may want to check on their social media accounts or surf through their apps on their breaks or during lunch, but if these time wasters are leaking into their working hours changes need to be made. Site blockers can be effective, but an easier way to begin this process is to make a written and firm rule about the use of these sites and programs during certain hours. Without being able to quickly collect and analyze data about workflow, there is almost no chance of increasing productivity. Companies should be constantly looking for new ways to update their software and programs with options such as Job Pack that can connect to ERP systems, collect data on projects, and help team leaders see where changes need to be made. Giving employees breaks isn’t just a law, it could also help them be much more productive in the long run. Recent studies have shown that ideal work to break ratio is about 17 minutes of rest after 52 minutes of work. Obviously this ratio is not possible within every business, but even just 5 minutes away from the computer per hour can do wonders. A modern company can be extremely complex and productivity can quickly be lost in the most obscure places. Focusing on these few projects may be the boost that your company needs after falling into a slump. 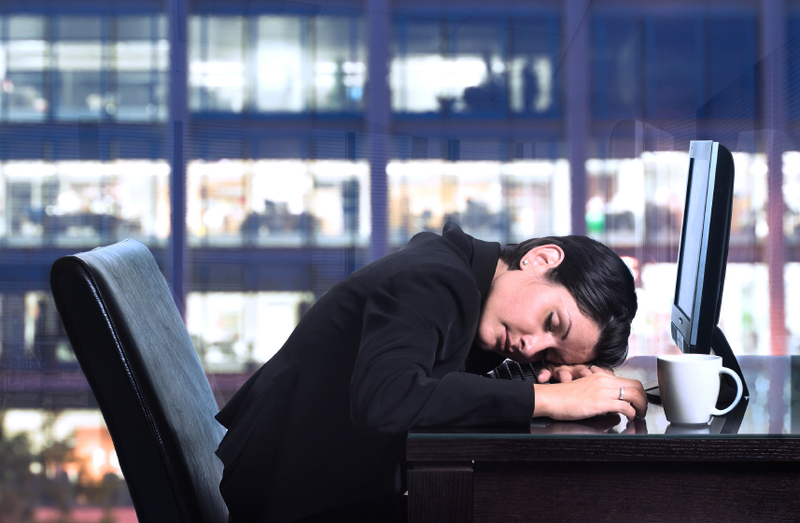 Working graveyard shifts or inconsistent schedules can be strenuous for a variety of reasons. For one, working during darkness can often throw off your internal clock which tells you that you should be sleeping when the sun goes down. It can also be difficult to maintain a social life when schedules change and conflict. Whatever the reason may be, though, this is your life or the life of someone you know. It may not be ideal, but it is manageable. In fact, it’s possible to not only survive in this topsy-turvy schedule but to thrive in it as well. The proof is in this diagram on Podio.com called “The Daily Routines of Famous Creative People.” It features the sleep, work, food/leisure and exercise schedules of notable people such as Benjamin Franklin, Sigmund Freud and Pablo Picasso. While Maya Angelou only ate at dinner time, Franz Kafka slept from 6-8:30 a.m. and then again from 3-7:30 p.m. If these lifestyles worked for them, it can work for you too. Sleep when you can. If you can get eight hours of sleep in one chunk of time, great. If not, try sleeping in increments of a few hours. Don’t cut corners on meals or exercise. You may not feel like preparing a full meal or going to the gym when the rest of the world sleeps, but your health depends on it. Consume plenty of water while you’re active. If your schedule is inconsistent, you may forget to hydrate, which can affect your energy level. Drink up. Make time for productive leisure or entertainment. Don’t limit yourself to watching TV or getting on the internet when you get off work. Have a go-to hobby while you wait for friends and family to be available. Embrace your quirky schedule. Find ways to take advantage of the fact that your routine is different from others. Go for a bike ride when the roads are cleared. Go grocery shopping without the crowds. Get a cheaper rate by seeing an early movie. Find the perks! An unconventional schedule can seem chaotic when compared to a typical day schedule. But chances are you won’t always operate in this routine. In the meantime, you can learn how to make the most of it and maybe even enjoy it. It will always be more manageable when you can stay on top of your shift schedule ahead time. While that may not always be an option, you can always count on software to help you. If you are looking for a software solution that won’t break the bank, check out our free trial here.